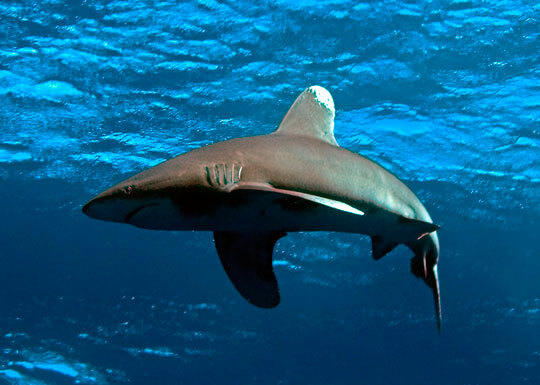 Egypt's offshore islands were declared natural protectorates in 1983, which granted them marine park status. Amongst these islands are the now legendary Brother Islands, or El Akhawein as they are called in Egyptian. 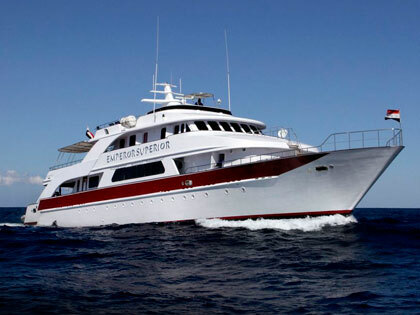 A popular Red Sea liveaboard dive destination, the Brothers are a pair of tiny islands situated about 5 minutes from each other. They are located 200 km south of Ras Mohammed and are basically steep-sided cones, likely formed by volcanic eruptions. They are barely visible and easy to miss, save for the Victorian stone lighthouse, a legacy of British rule, which towers some 32 metres above Big Brother Island. 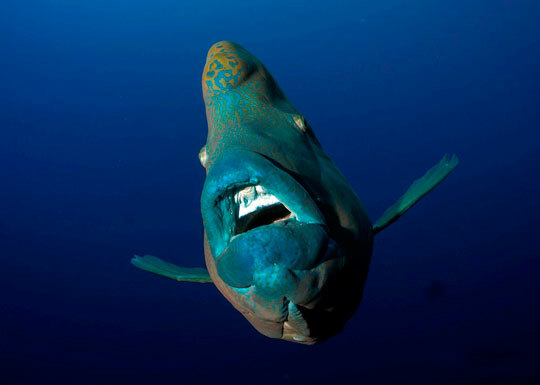 One of the most amazing scuba dives, not only in the Southern section but the whole of the Red Sea, the Brothers Islands are quite isolated and thus a delicacy to be savoured by the privileged few. Little Brother Island is shaped like a rain drop, falling from the north west to south east. Deep walls surround the island on all sides except the northern point, where the reef slopes very slowly away from the island before dropping to a deep plateau at 40m. 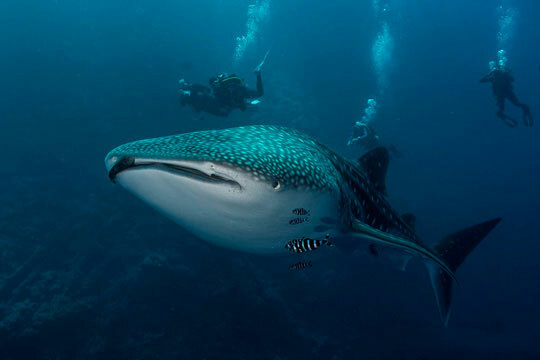 This plateau is one of the best places in the Red Sea for diving with sharks. 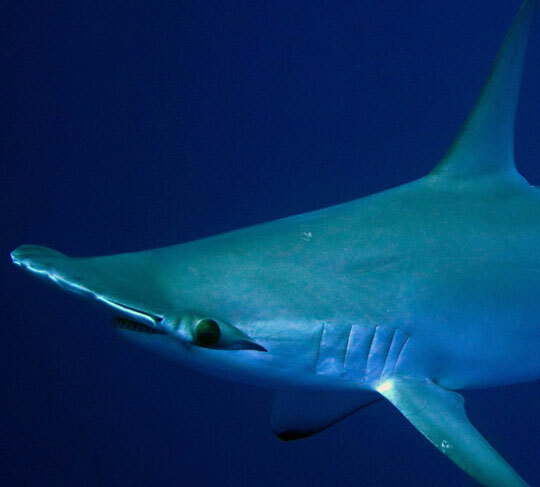 Silvertips and grey reef sharks frequent the area and great hammerheads sometimes rise from the deep for a quick inspection before descending into the deep blue once again. On the eastern and western walls, it's not about size but about quality. 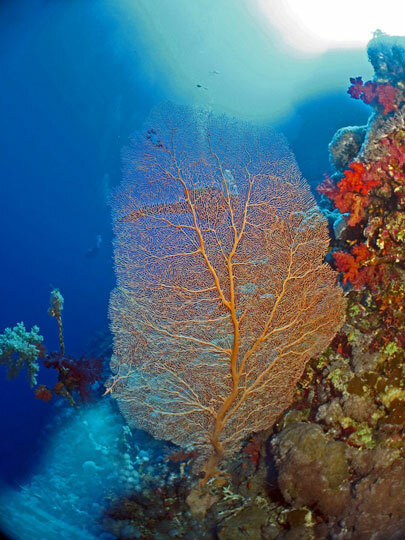 Surrounded by sheer walls covered with black corals, mammoth gorgonian fans with exceptionally dense hard and soft corals covering the spectrum of colours, it's easy to miss all the beauty as your view is obscured by schools of fish so plentiful that it often blocks out the light. Big Brother Island lies about 1 km to the north of its smaller sibling. 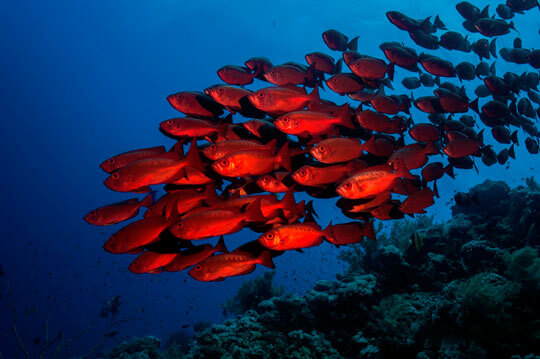 Characterised by an impressive healthy fish population, it is dominated by tiny anthias, glassfish and sweepers. 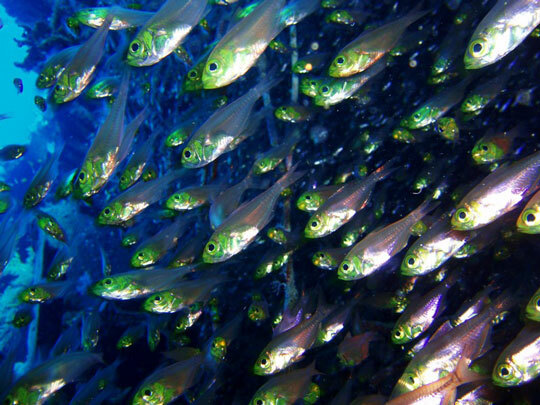 All are resident on or around a fringing reef that plunges steeply away on all sides. 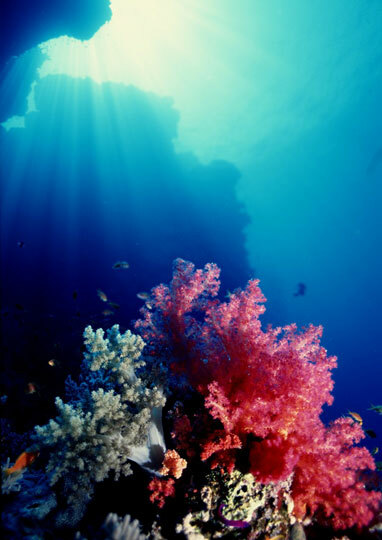 The walls are densely covered by huge gorgonians and colourful soft corals. 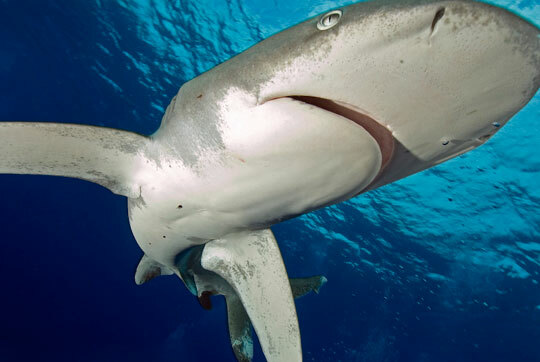 Numerous sharks are attracted to the south east point of Big Brother. 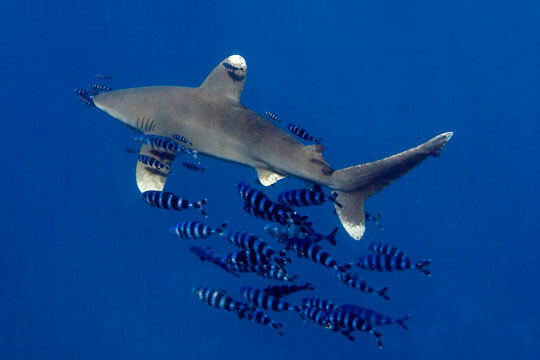 Grey and white tip reef sharks, hammerheads and the more ominous oceanic white tips are commonly spotted. 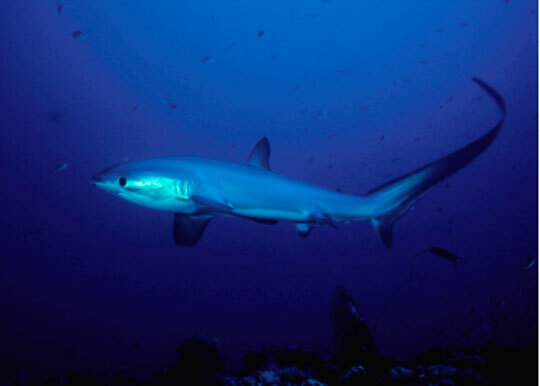 Make a dawn dive here and you could be lucky enough to see thresher sharks, particularly in Autumn and Winter, that are rarely seen elsewhere by divers. Big Brother is also home to 2 Red Sea wrecks, lying quite close by one another off the north east point of the island, near the lighthouse. The Numidia is also known as the Railway Wreck due to the 2 locomotive wheels that she was carrying as cargo and now lie in the shallows. She met her end in 1901 when bound for India on only her second voyage. This was a 130m long British wooden cargo ship that ran aground. The bow is broken up and lies in only 8m of water. 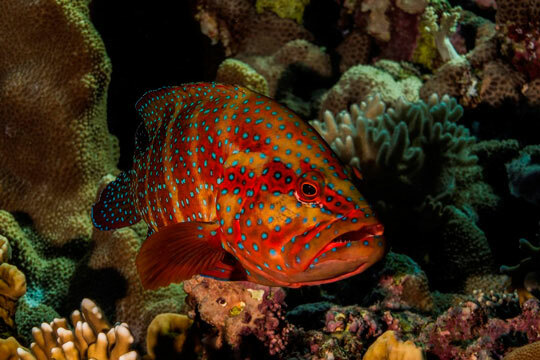 Both soft and hard corals have claimed the Numidia as their own now and decorate the entire remaining metal framework, bringing the ship back to life for Red Sea scuba divers, this time in the form of a vibrant and colourful living reef. You can follow the hull and a series of masts down to greater depth. Here you will find the ship’s lift raft section and several entrances to the cabins that make penetration easy and safe in the shallow section. Below the bridge are the holds and the main mast that remains and protrudes up to 45m. The ship's stern and propeller lie in 90m and well beyond recreational diving limits, so even though you might be able to see it from above, it would be wise to not follow your enthusiasm. The Aida was a 75m transport supply ship that came off last during a head-to-head with Big Brother and sank in 1957. 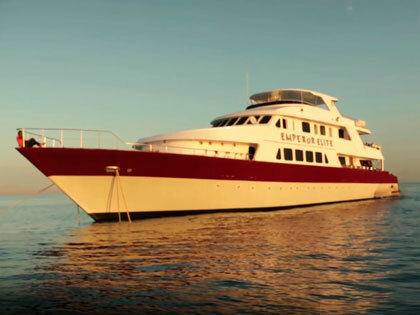 Her bow rests at 30m and the stern lies at 60m and deeper, where large groupers lurk. The engine remains at 7m to mark the site of the accident, where the hull broke in 2 and the stern sank, and where the bow was slowly destroyed by wind and waves. 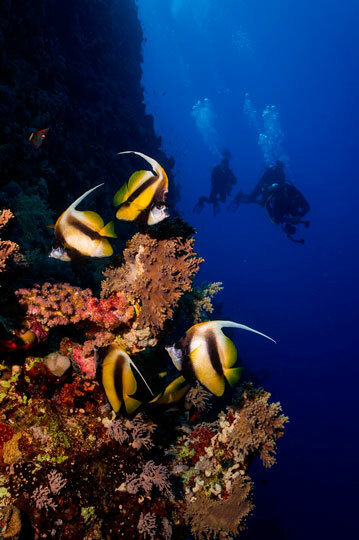 The picturesque wreck has been claimed by the reef and is completely covered in soft and hard corals and a haven for all manner of marine creatures that you'll see when diving in the Red Sea. With its wooden flooring now eroded, the wreck’s steel superstructure is open to exploration and penetration by advanced divers. You can swim through engine room, viewing the heavy winches by the cargo hatches. 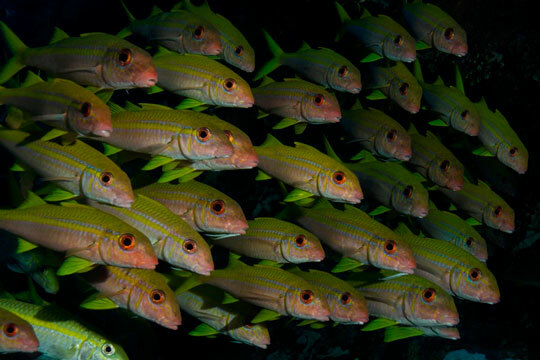 There are various ways to dive Big Brother and if this site is on your liveaboard itinerary then you will probably visit it at least 3 times. A common entry point is on top of the Aida wreck from which you make your way along the length of the island with the sloping reef on your left. 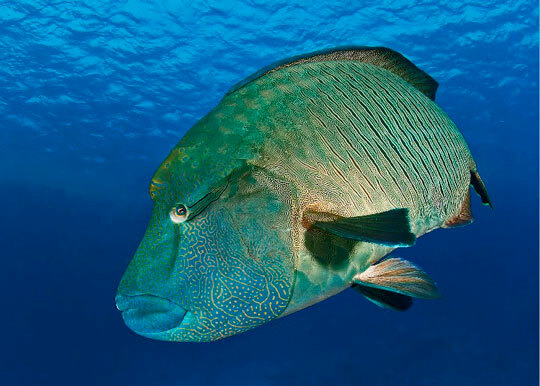 Look out to the blue for sharks, barracuda, unicornfish and Napolean wrasses. 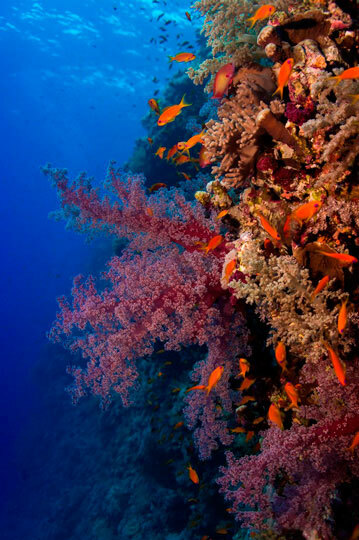 The wall boasts a very healthy reef and is covered mostly in soft corals, in particular broccoli soft coral (Lithophyton arboretum). You can slowly make you way into shallower water here since the reef is in prime health all the way to just below the surface. 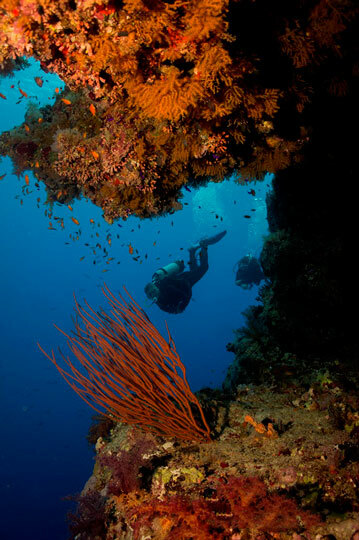 An alternative route is to drop in near the southern tip of the island and begin your dive by moving out on to a promontory which features 3 or 4 little hills at around 35m. 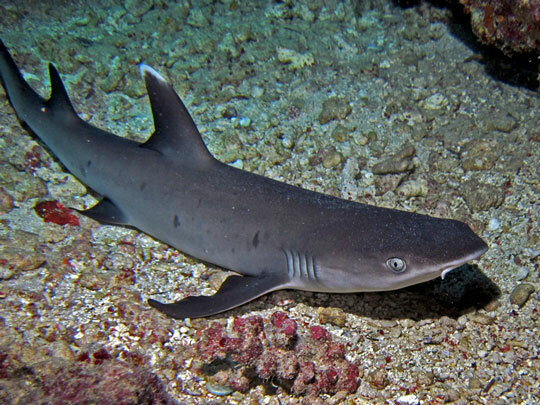 When the visibility is good, this can be a great place to linger for a while to try to spot sharks. At this depth you can expect to run out of no-deco time quite quickly or, if on nitrox, your maximum depth limits. 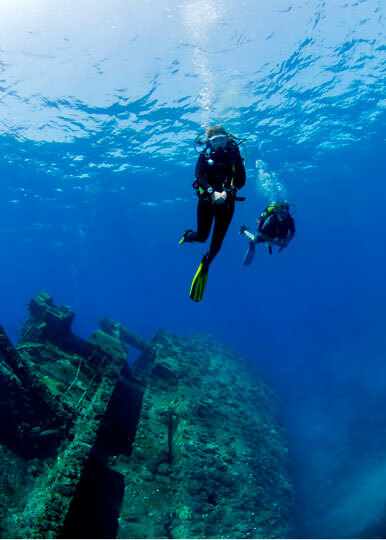 But possibly the best way to dive Big Brother Island is to drop in a little up-current of the Numidia wreck and begin your dive by exploring the shallower sections of this beautiful wreck. After 5 or 10 minutes enjoying the Numidia, you will move on with the reef to your left where the wall curves in and out. 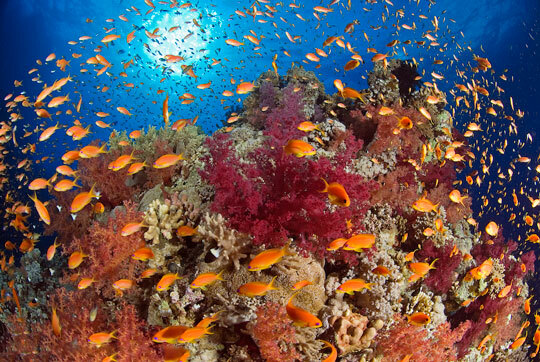 This allows for some beautiful views where you will see corals thrusting forward from the wall to where swarms of delightful little orange and purple anthias flit delicately around the hard coral heads, creating a wondrous and colourful scene. 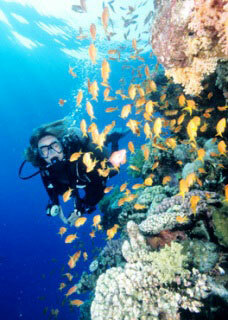 It is a perfect spot for those typical Red Sea coral reef photographs. As always at Big Brother, half an eye should be kept on the blue for passing pelagics but this part of the island boasts perhaps the prettiest section of reef, at this, one of the Red Sea's most famed dive sites.